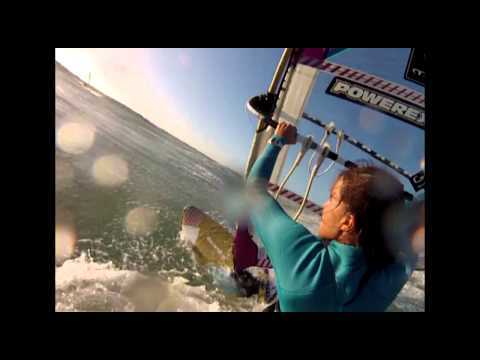 Born in Warsaw, Poland in 1985, Justyna Sniady is one of the most determined riders on the PWA Tour. She has the looks, but also quite impressive skills, as her career confirms so far. She is the Current 2012 British Wave Association Tour Leader, she won the 2nd place at the Brandon Bay, Ireland, BWA Tour in 2012, the 1st place at the Rhosneiger, Wales BWA event, the 2nd place at the Margaret River Main Break, Australian Wave Championships, the 1st place Greenhead, Australian Wave Championships also in 2012. And these results cover only part of the previous year, but the list goes on. Justyna is also into Snowboard, Motorbikes (lately mainly MotoX), Cars (off-road and drifting), Wakeboarding, Surfing, Horseback riding, Basketball, Soccer and other sports, but her true passion is windsurfing and mainly wave riding.